Welcome to the February edition of Business Matters. Recent investment activity in Australia from overseas has put our foreign investment rules in the spotlight. This includes record levels of foreign investment in residential real estate, the blocked sales of agricultural interests such as Graincorp and S. Kidman & Co, and the proposed sale of infrastructure assets such as Asciano and the port of Darwin. the screening threshold for proposed foreign purchases of agribusiness has reduced from $252,000,000 to $55,000,000 for most foreign persons. There is a fine balance to strike between promoting Australia as an investor friendly nation and protecting potentially sensitive Australian assets. The new measures attempt to increase transparency and confidence in our foreign investment regime. The existence of different rules for foreign investors from nations with a free trade agreement with Australia means there is not a level playing field for all investors and may result in additional complexities. It is crucial for foreign investors to seek advice before investing in Australia. For further information, contact Selwyn Black, email: sblack@codea.com.au, phone: (+612) 8226 7359 or Nicholas Huang email: nhuang@codea.com.au phone: (+612) 8226 7367. From 12 November 2016, a new law will protect small businesses from unfair terms in standard form of contracts. a. It is the supply of goods or services or the grant of an interest in land. b. At least one of the parties is a small business (employs less than 20 people including casual employees employed on a regular and systemic basis). c. The upfront price payable under the contract is no more than $300,000, or $1m if the contract is for more than 12 months. The new law will also apply to contracts varied on or after 12 November 2016. A standard form contract is one that has been prepared by one party to the contract, where the other party has no opportunity, or little opportunity to negotiate the terms. The law gives examples of terms that might be unfair including terms that give one party but not the other party rights to avoid or limit liability or to terminate or vary the contract. However only a Court or a tribunal can decide if a term is unfair. The terms that set the upfront price payable under the contract are not covered by the law. If a Court or tribunal determines that a term is “unfair”, the term will be void – that is not binding on the parties. The rest of the contract which is not found to be “unfair” will still apply to the extent it is capable of operating without the unfair term. Some terms that can’t be declared unfair include terms that define the main subject matter of the contract, which set the upfront price, or which are permitted under a law of the Commonwealth or a state (e.g. a prescribed industry code). If a contract is varied on or after 12 November 2016, the protections will apply to the varied terms but not to the rest of the contract. If a contract is automatically rolled over after 12 November 2016, the protections will apply from the renewal date. If a contract is holding over say on a month to month basis or on another periodic basis or moves from a set term to holding over, the new protections apply from the first time a new period starts on or after 12 November 2016. The new provisions also apply to contracts with a Commonwealth, state or territory body to the extent it is carrying on a business but not a government body that engages in day to day procurement activities which is not carrying on a business. Where a contract is made up of multiple documents – e.g. another document incorporated by reference, the other document will form part of the contract for the purposes of the new law. Where there is a breach, a number of options may be available including having the ACCC or ASIC intervene (likely in only the most significant cases), self enforcement, or to seek to involve the applicable industry ombudsman and dispute resolution processes. Businesses who deal with small businesses will be well advised to have their contracts reviewed well ahead of the new law starting, and to cover contracts being signed now that might be renewed under the new law. Roche v Deputy Commissioner of Taxation  WASCA 196 is a recent decision of a senior Australian court which demonstrates what a director may be required to do to discharge personal obligations for company taxes. the superannuation guarantee charge (SGC) in accordance with Part 3 of the Superannuation Guarantee (Administration) Act 1992 (Cth). Section 269-15(2) of schedule 1 to the Act provides that a director ceases to have that duty on the day the company complies with its obligation to pay, on the day an administrator is appointed to the company, or on the day the company is wound up. Section 269-20 of schedule 1 to the Act makes a director personally liable for the amount unpaid by a company, if the director fails to carry out that duty. Section 269-35 of schedule 1 to the Act provides various defences to a penalty personally imposed on a director. Roche was a director of Fuel Tank & Pipe Pty Ltd (FTP). During various periods between 1 June 2011 and 28 February 2013, FTP withheld PAYG from its employees and officers but did not pay those amounts to the Commissioner of Taxation as it was required under sub-division 16-B in schedule 1 of the Act. On 2 August 2013, Roche was issued a director penalty notice pursuant to section 269-25 of schedule 1 of the Act, requiring payment of the amount unpaid by FTP. On 23 August 2013, an administrator was appointed to FTP. On 24 September 2013, FTP was wound up. On 7 November 2013, the Commissioner of Taxation commenced proceedings against Roche to recover the penalty and sought summary judgment. Judgment was entered against Roche. Roche appealed and his main argument against the claim was that he took all reasonable steps to ensure the directors caused FTP to comply with its obligations (section 269-35(2) of schedule 1 to the Act). he had periodic meetings with his father and FTP’s financial controller every 3 months or so, during which he was given FTP cash flow projections, explanations of outstanding liabilities, expected expenses and expected revenues. Roche argued that based on what he was advised at those meetings, it appeared FTP would have enough funds to pay all its liabilities. On that basis, Roche did not attempt to stop FTP from trading. Roche argued he took all reasonable steps to ensure FTP complied with its obligations to pay PAYG and SGC. Roche argued that in early 2013, he was advised by his father and the financial controller that FTP would need an equity injection to meet cost overruns. A proposed sale of shares in FTP to raise capital failed to materialise, and subsequently FTP stopped trading and an administrator was appointed. The defence would succeed if Roche took all reasonable steps to ensure FTP paid all the required PAYG. A director must prove that he or she took steps which were reasonable, having regard to the circumstances that the director, acting reasonably, knew or should have known. There was no evidence Roche received any information or assurances that could have formed the basis of a reasonable belief that FTP satisfied its obligations to the Commissioner in relation to remittance of PAYG. b. they have reached the conclusion that payments have been made and would continue to be made, on the basis of a reasonable belief. Without this, directors are at real risk of personal liability, quite apart from any other duties relating to insolvent trading. The ATO has issued two new interpreted decisions (ATO ID 2015/27 and ATO ID 2015/28) which suggests that the non arms length income (NALI) provisions can apply when a SMSF Trustee undertakes a limited recourse borrowing arrangements. NALI is currently taxed at 47%. The ATO has indicated that they will not be selecting SMSF’s for review in the 2014/2015 year or earlier years purely on this basis, but that SMSF trustees should take action to ensure that their existing limited recourse borrowing arrangements fully comply by 30 June 2016. If you would like to discuss this further, please contact John Edstein, Special Counsel on (+612) 9291 7141 or Peter Carroll, Special Counsel on (+612) 8226 7363. 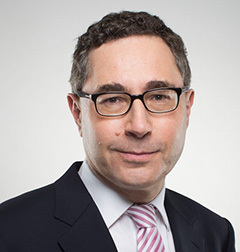 Selwyn Black leads the Business Lawyers Group at Carroll & O’Dea, Australian lawyers. His practice includes advising on a variety of issues for businesses including real estate and business acquisitions, disposals and development, joint ventures, contracts, financing, and innovative solutions for a variety of issues . 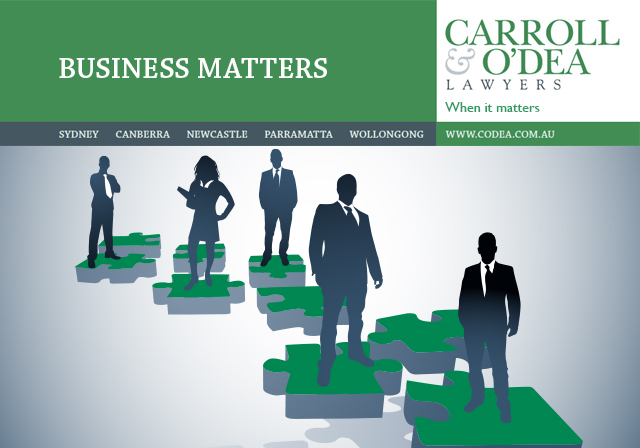 Carroll & O’Dea is a mid-size law firm with offices in Sydney, Canberra and 4 other regional locations as well as associate offices in most states of Australia.